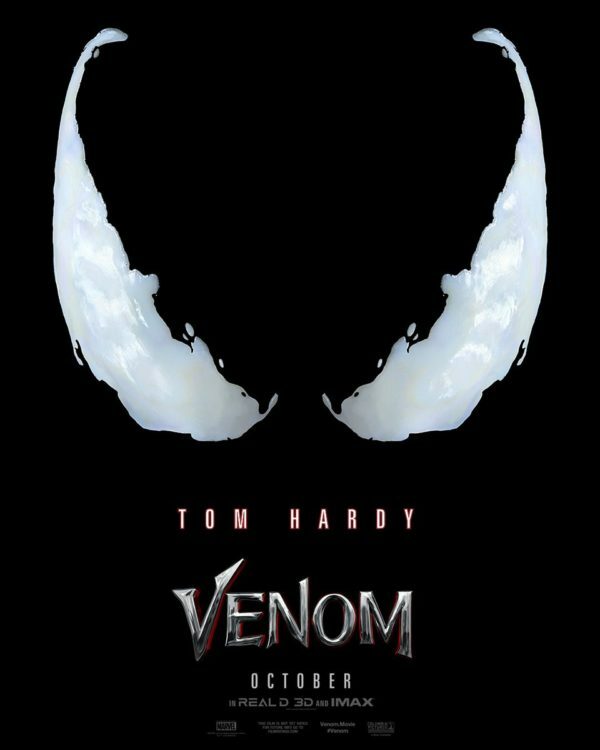 Sony has released a poster for Venom, along with the news that the first official trailer will drop tomorrow. The trailer reveal came via a Twitter message from Regal Cinemas. The Twitter account @VenomMovie also confirmed the release of the trailer tomorrow, by simply saying, "Tomorrow. #Venom." Tom Hardy stars as Eddie Brock AKA Venom, the original host of the alien Venom symbiote and one of Spider-man's popular supervillains in the comics. Ahmed is playing an unknown character, it was initially believed that he would be playing the arch nemesis Carnage. Sony has since shot down those rumors. Williams will be playing a district attorney and a possible love interest for Hardy. It is believed that the character may be Anne Weying, who was Eddie Brock's (Venom) wife in the comics and eventually came into contact with the symbiote to become She-Venom. Slate is playing a scientist, with nothing else known at this time about her character. Veep actor Reid Scott, Scott Haze, and Woody Harrelson also joined the cast in unspecified roles.